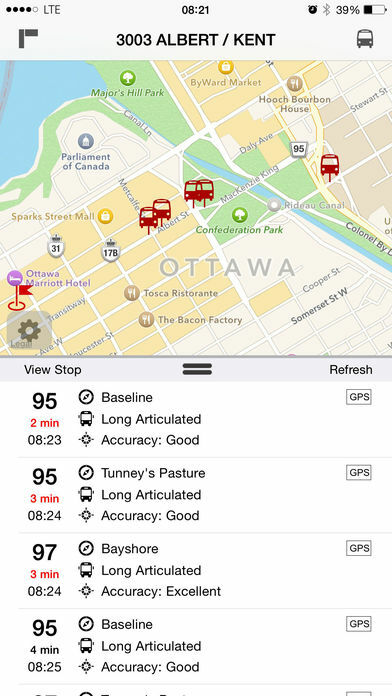 Ottawa OC Transit displays estimated times of arrival for selected Ottawa OC bus routes at a given bus stop. 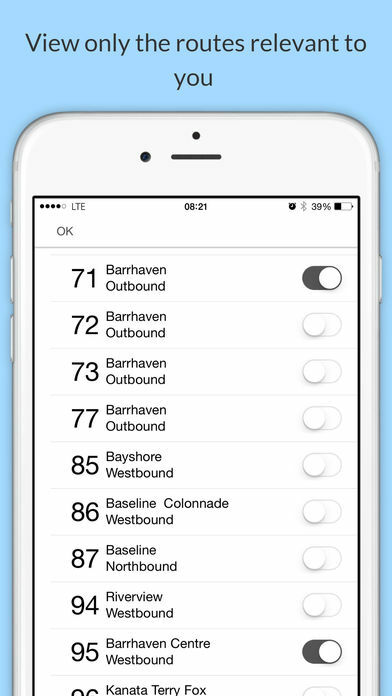 Based on the on-board GPS system found in the OC vehicles, it allows you to follow your bus live and gives an accurate time of arrival at your favorite stops. 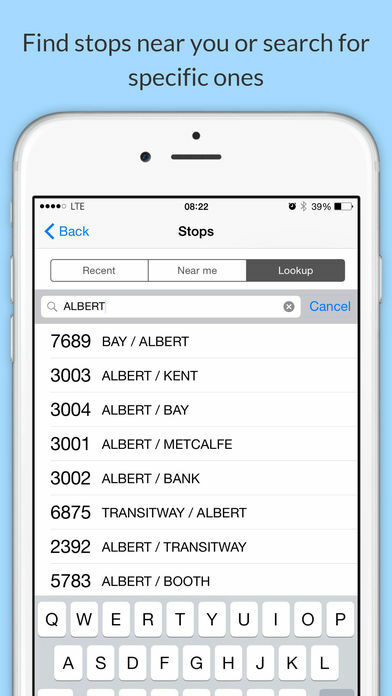 Simply enter your stop number or name and a selection of routes (bus number) will be displayed, allowing you to pick from a list of those of interest. Additional to the time of arrival, it also tells you what type of bus (short, articulated, double-Decker, etc) as well as an indication on how accurate the GPS signal received is. If the GPS signal is not available, official schedule time will be displayed instead. 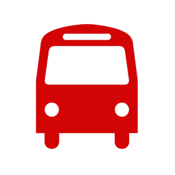 Please note that Ottawa OC Transit is not a planning tool and therefore, will not be of any help if you intend to find which bus route to take to get to your destination.